The first internet date Miranda went on was with was a retired airline executive. They had dinner at Il Fornaio, in downtown Palo Alto. The exec said, “Then I did this, and then I did that. And then I did this, and then I did that.” Or that’s what it sounded like to Miranda. He offered her a free vacation to the Caribbean, but the implied trade-off made her uncomfortable. So that turned out to be Dating Strike One. 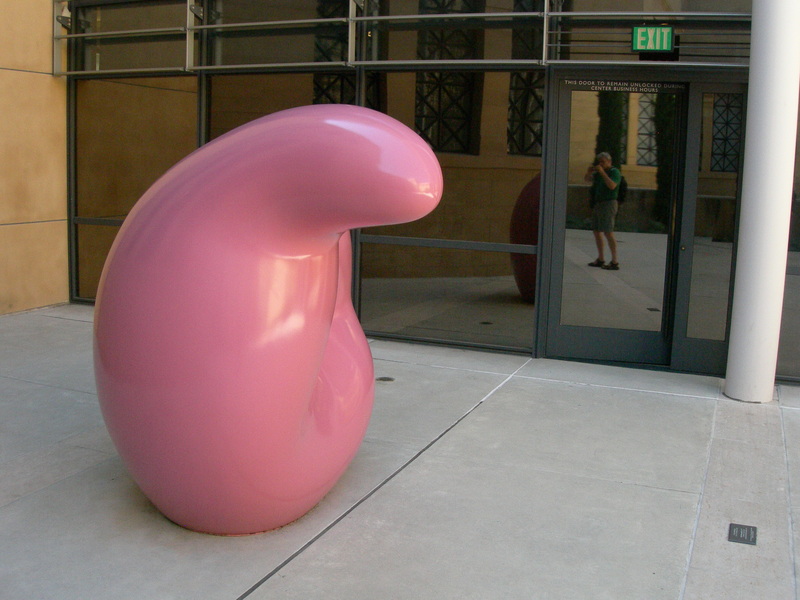 Claes Oldenburg’s sculpture “Soft Inverted Q” at the Cantor Arts Center, Stanford….